...and my number one job is to help you level up, stand out, and get ahead in your career, your life, and your community. It is something that I’m deeply passionate about. Down to the core of my being, I believe that each of us has the power and potential to live the lives we were meant to live. I believe that each of us have the opportunity to do the kind of work we were meant to do. To be the person we were meant to be. To achieve our greatest dreams, hopes, and aspirations. To make an impact in our families and communities. In April 1997, my friend Warren MacDonald set out on what was supposed to be a routine backpacking trip to Hinchinbrook Island, off the northeast coast of Australia. On his way up to the summit of the island’s tallest peak, he became trapped beneath a one-ton boulder in a freak rock fall. He was rescued, but the accident would cost him the loss of both legs, amputated at mid-thigh. 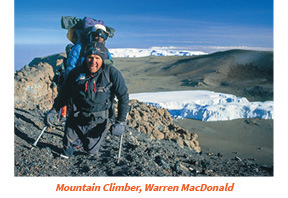 One might think that losing both legs would end your climbing career, but not Warren MacDonald. Just ten months later, Warren climbed Tasmania’s Cradle Mountain using a modified wheelchair and the seat of his pants. In February 2003, he became the first double above-knee amputee to reach the summit of Africa’s tallest peak, Mt Kilimanjaro. More recently, in a spectacular effort requiring 2,800 pull-ups over three days, he made an ascent of America’s tallest cliff face, El Capitan. Warren not only survived a terrible accident, but he has turned this tragedy into his own triumph and positively impacted thousands of people all over the world. Warren is not just a friend – he inspires me. What he has to share with the world is much more profound than just telling the story of a man who lost his legs and is now climbing mountains. He lives his life with a set of expectations and standards that are miles higher than average. His level of performance and commitment is off the charts for most people. This is what he does in everyday life. Warren is not only leveling up in his own life, but he is elevating the lives of those around him, and the people he speaks to around the world. Warren has a saying “When you change the way you see the world, the world changes.” For years, I used to have this vague notion of what success looked like. Or in Warren-speak, what it looked like from the summit. But now I’m not sure what that summit is anymore. It seems that while I keep metaphorically climbing, I never really seem to get to the very top. When I talked to him about this, Warren said that it reminded him of what he called the false summit. In mountaineering, a false summit is a peak that climbers see that appears to be the pinnacle of the mountain. Upon reaching it, it turns out that it isn’t the top; there’s more mountain to climb. It dawned on me that this is what I’ve been doing all these years. Struggling to the top of the mountain, on my way to the summit, one step at a time, encountering plenty of false summits along the way. Maybe it’s not getting to the top that counts after all. You never really get to the ultimate summit. Or at least that’s not the main goal. Maybe real, authentic self-discovery comes from taking one small step at a time, while trying to understand myself and impact the people around me, in each and every step. Through all the ups and downs and through challenges and victories, I’m constantly reminded to focus on what my real, true and authentic life’s purpose is: To elevate the lives of those around me. 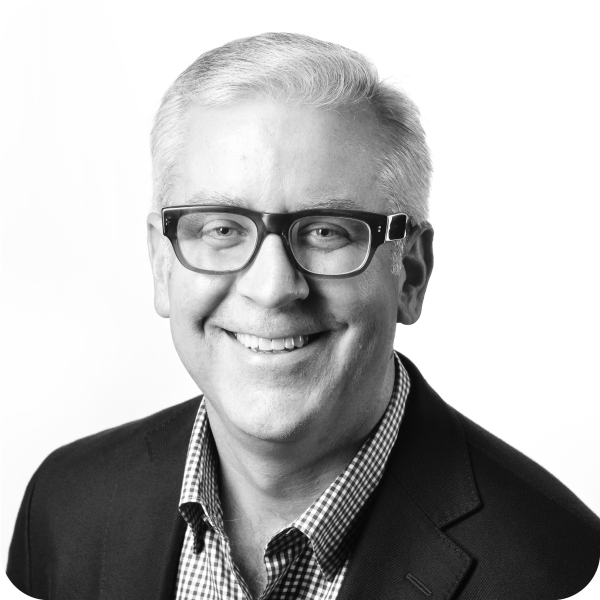 I am sharing Warren’s story with you to challenge you to think bigger and ELEVATE. To get higher than you think you can. To not just focus on the summit, but focus on the steps to get there. To live your life with courage and conviction, just like Warren. I HOPE YOU ARE INSPIRED TO ELEVATE YOUR LIFE, YOUR CAREER, AND YOUR COMMUNITY.